Classic greek design in silver foil on a crystal base. 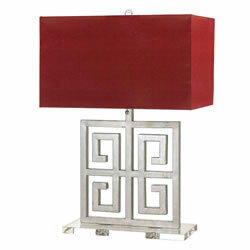 Topped with a red faux leather shade. Due to hand-crafting no two are alike.